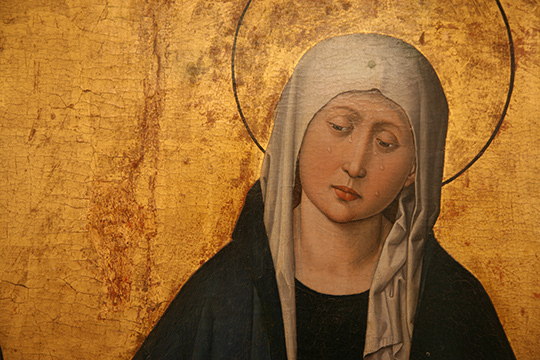 The founders of the church wanted as thier patron the Blessed Virgin Mary, under this specific title. The consecration of our new church was done on her feast in 2015, and after each Saturday Mass, the priests lead a public devotion to the 7 Sorrows of Our Lady. It is under her continual patronage and protection that we place the priory, school, and retreat center in Phoenix. Pope Saint Pius X placed the feast on September 15 so that it would close to the feast of the Holy Cross on September 14. The Crucifixion and Death of Jesus.